Members of the Film Society selling tickets in the Tinkham Veale University Center earlier this week. The first week of spring semester, also known as “syllabus week”, is full of exciting activities from sorority and fraternity recruitment to new classes. Another beginning of spring semester staple is the CWRU Film Society’s annual science fiction marathon, which will begin at 8 p.m. on Jan. 18 in Strosacker Auditorium. This year marks its 44th year, and the preparation for this event has been extensive. Advertising for this event is ubiquitous, reaching both community members and students. 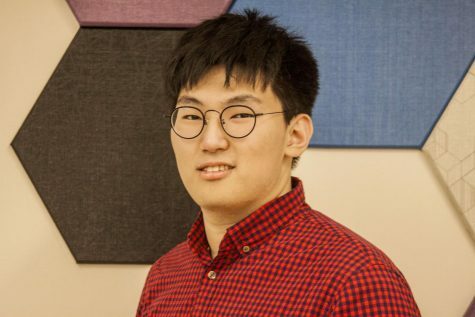 In fact, an estimated three quarters of expected full marathoners are community members, which makes sense considering the hectic schedules of students cannot afford them the luxury of a marathon lasting well into Sunday morning. 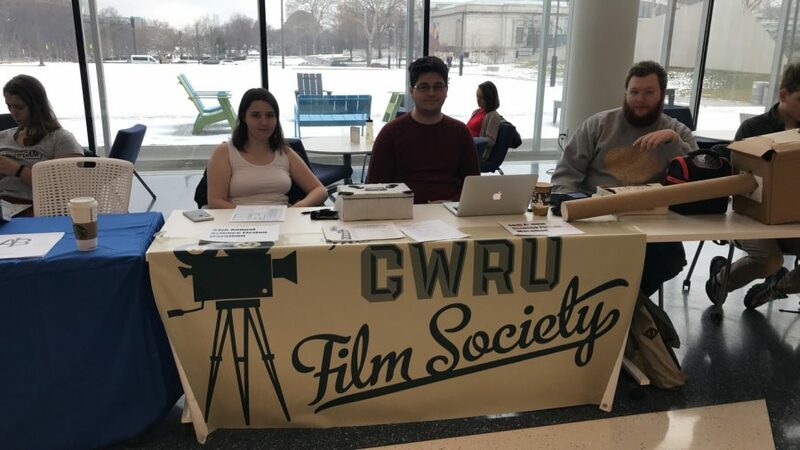 Film Society members have posted on their Facebook page, their website, placed flyers all over campus and tabled from 10 a.m. to 3 p.m. everyday in the Tinkham Veale University Center. Cashier and webmaster Erik Espinosa, a second-year computer science major, explained the process of selecting films for the marathon. First, the Film Society’s members pose suggestions to a committee of former directors, business managers and projectionists. The committee then whittles down the choices to a select few films. If you want a good seat, Espinosa suggests camping out around 6 p.m. There will not be anywhere to camp out before 6 p.m.
Espinosa estimates between 300 and 350 people will stay for the full marathon, about 250 of whom have already bought the full marathon pass, with others coming into Strosacker for select films. He plans to stay for the entire marathon. “I’m looking forward to seeing ‘Demolition Man,’ ‘Space Jam,’ ‘A Quiet Place’ and ‘Gremlins’ the most,” he said. If you want to stay but fear you may not be able to stay awake, the organizers have planned for that. Many people bring sleeping bags and air mattresses, and 43 years of experience have encouraged designated sleeping areas on the stage and upper balcony area. The last weekend of films will be People’s Choices weekend, held during the first week of March, right before spring break. The Film Society will be showing “Ready Player One” on Friday, Mar. 1 and “Hocus Pocus” on Saturday, Mar. 2. Last semester, the Film Society held a poll in Thwing Center, and “Ready Player One” was the most popular film of choice. A similar poll was also conducted in a Google Forms poll through University Media Board, and “Hocus Pocus” was selected. If you are interested in the marathon, tickets for individual films are still available for $4 and can be purchased right before its showing. Epinosa cautions attendees to check the Facebook page for official times, because the films schedule will be delayed. The Observer and CWRU Film Society are both members of the University Media Board.